7 Health Benefits to Champagne – Simply Bubblicious! That’s right folks, you can now justify your “Bottle of Champagne” a day habit! Joking aside though, champagne is surprisingly more beneficial than one would think–so long as you don’t go overboard. Next time you’re at The House having brunch,why not have a cheeky bucks fizz or mimosa and explain to your friends some of the benefits of champagne! 1. Improves Spatial Memory – Studies have shown that spatial memory can be improved after the consumption of champagne. Spatial memory is the ability to recognise one’s surroundings, as well as perform complex tasks and calculations. It is of particular importance to older people. Very early signs of dementia can occur when you’re in your 40’s, therefore it can be beneficial to have a few glasses of champagne weekly to ward it off. 2. 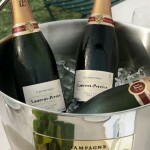 Calories – Champagne contains less calories than both red and white wine. A standard glass contains roughly 80 calories, as opposed to wine which is up around the 120 mark. 3. Serving Size – If you’re concerned about calorie and sugar content, champagne may be the drink for you. Not only does it contain less calories than wine and beer, a standard champagne glass is far smaller than most others. If you can control yourself this can be highly beneficial to your health, as well as your sobriety. 4. 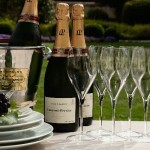 Bubbles – Bubbly drinks such as champagne have been known to make people drink slower, as well as feel full quicker. Once again, this can be good news for your waist line and the way you feel the next morning. Also, as we established earlier, bubbles are so much more fun! 5. Heart Health – A little known fact about champagne is that it’s just as healthy for your heart as a glass of red is. This is because it’s made from red, as well as white, grapes, and therefore contains most resveratrol. This is an important antioxidant that prevents damage to your blood vessels, reduces bad cholesterol, and prevents blood clots. 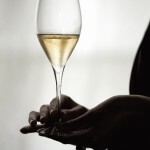 Champagne also contains polyphenol antioxidants, which further protects the heart in its own way. It does this by slowing down the removal of nitric acid from the blood which can result in lower blood pressure. This helps to reduce the risk of heart problems and strokes. In fact, a study published in the British Journal of Nutrition showed that when two groups were given either champagne or a different alcoholic control beverage, only the former experienced the slower removal of nitric acid. However, both groups experienced beneficial blood vessel dilation and increased blood flow. 6. 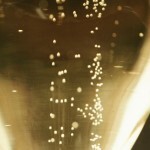 Short Term Memory – Research has shown that certain proteins within champagne are beneficial for short term memory. It’s been hypothesised that within three years of imbibing champagne regularly, but not over indulging, a person could have an increase of 200% of the memory-boosting protein in their brain. This would significantly aid in other cognitive functions, as well. 7. Flavonoids – Unfortunately, there is one way in which red wine beats out champagne, and that’s through containing flavonoids. These are another type of antioxidant with cognitive and health benefits that champagne just doesn’t have. We do have a solution for you though, and it’s strawberries. This king of berries is rich in flavonoids and tastes delicious in a glass of bubbly. Simply pop a piece, or five, into your flute and your problem is solved!